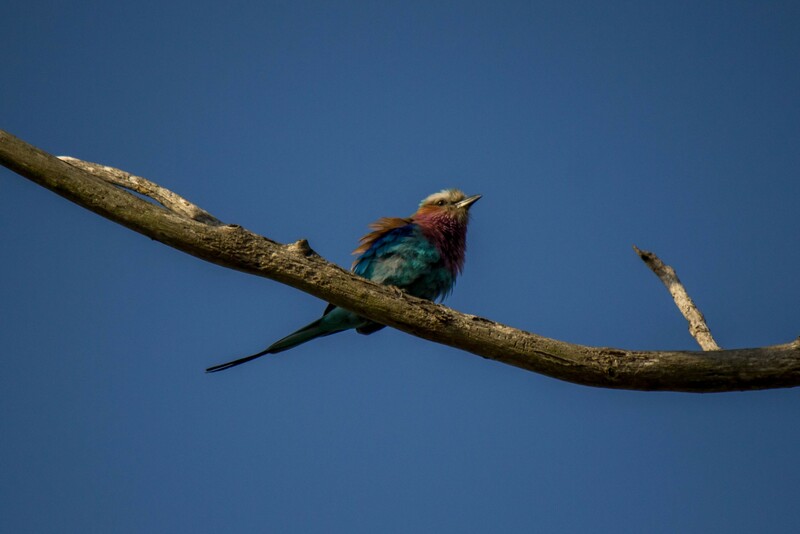 Lilac-breasted roller (Coracias caudatus) is a species of roller widespread in sub-Saharan Africa, especially in eastern and southern Africa. 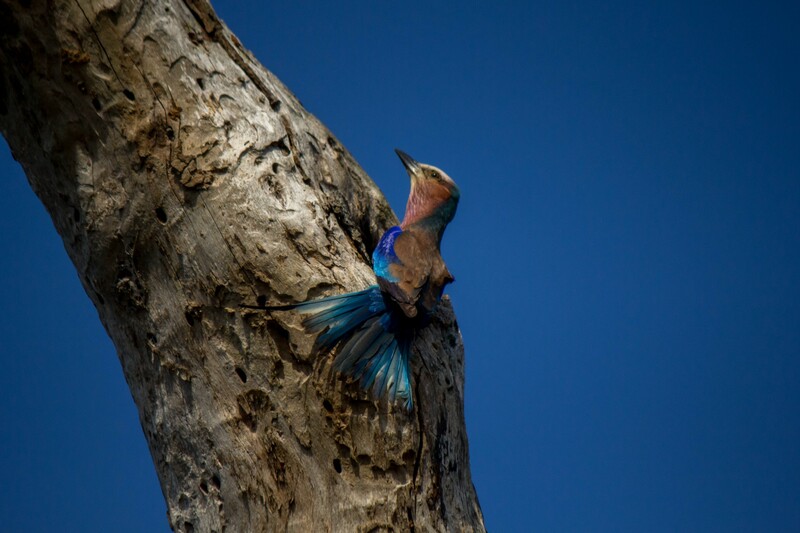 This is an unmistakable bird known for its colors and attractive looks. It reaches lengths of 35-38 cm (14-15 in) and a wingspan of 51-58 cm (20-23 in). Front of the head is white and it turns into a pale green towards the back of the head. Throat is white with a gradual change over to a lilac breast. Back and inner portions of the folded wings are brown with the outer portions changing from deep blue to turquoise. The underparts and undersides of the wings are a bright turquoise. A dark edge of the wings is seen when wings are spread and in flight. Tail is long and forked and colored as the wings, with blue on top and turquoise underneath. 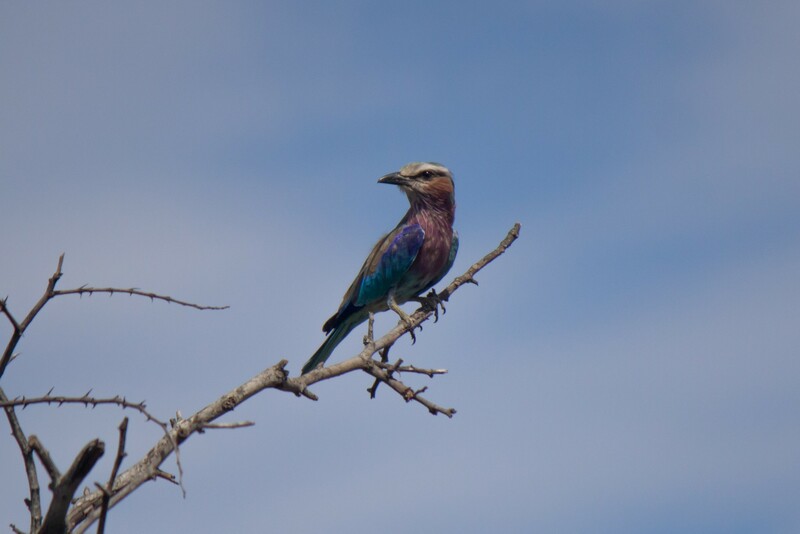 The lilac-breasted roller is mostly found in open areas with sparsely distributed acacia trees. 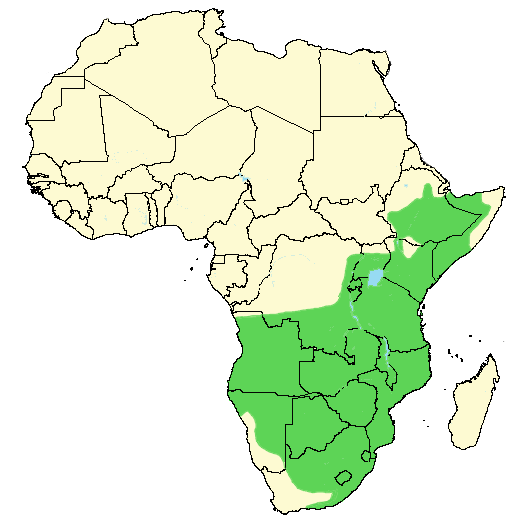 Bushy savannahs, open, rolling hills, and open woodlands are common habitats. It can also been found on cultivated land but is rarely found associated with human habitation. 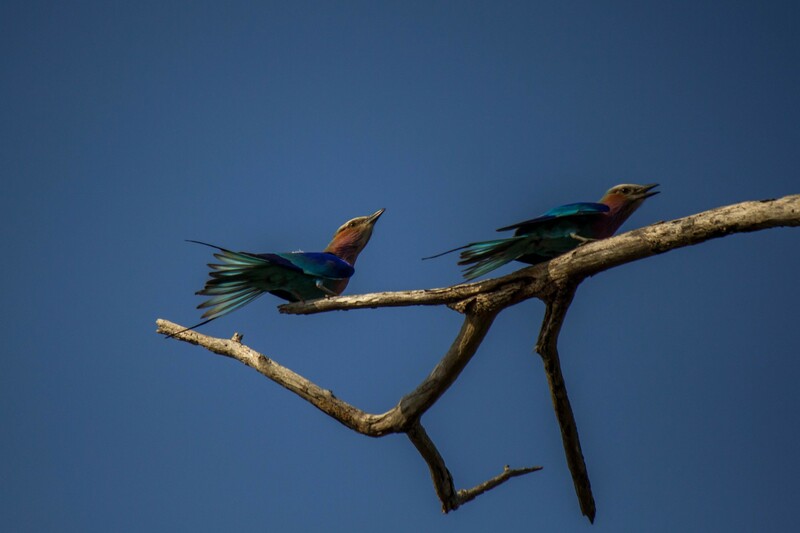 Lilac-breasted rollers are often seen perched on open branches in dead trees and power lines high up looking for prey below, which they swoop down and catch on the ground. 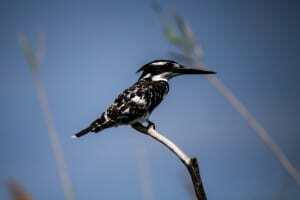 Diet consists mainly of invertebrates, small reptiles, amphibians, as well as small rodents and birds. 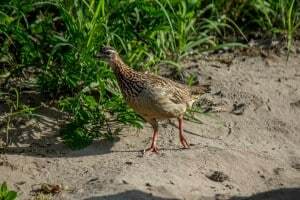 This species have actually found a way to overcome and utilize wildfires by actively hunting prey fleeing the fire on the ground. 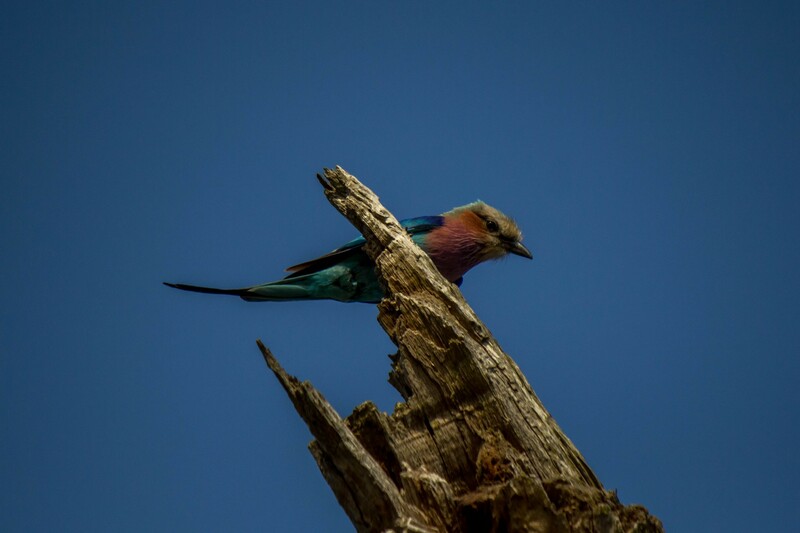 The lilac-breasted roller is territorial both in and outside of the breeding season as it also defends feeding grounds. 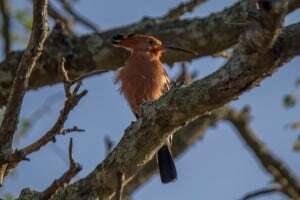 It is monogamous and nests primarily in the hollow of trees, sometimes kicking out other species of birds already present. It will defend its nest vigorously, even outside the breeding season. 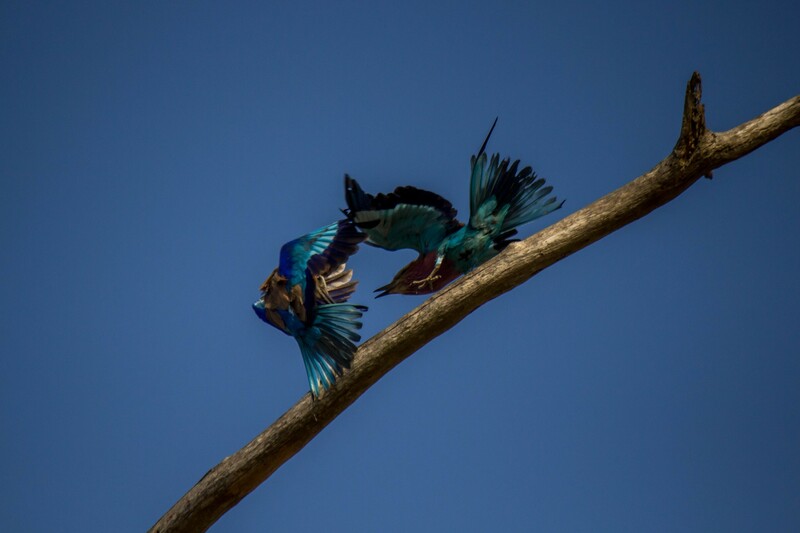 The name roller comes from its flying courtship ritual where they dive with a rolling motion. 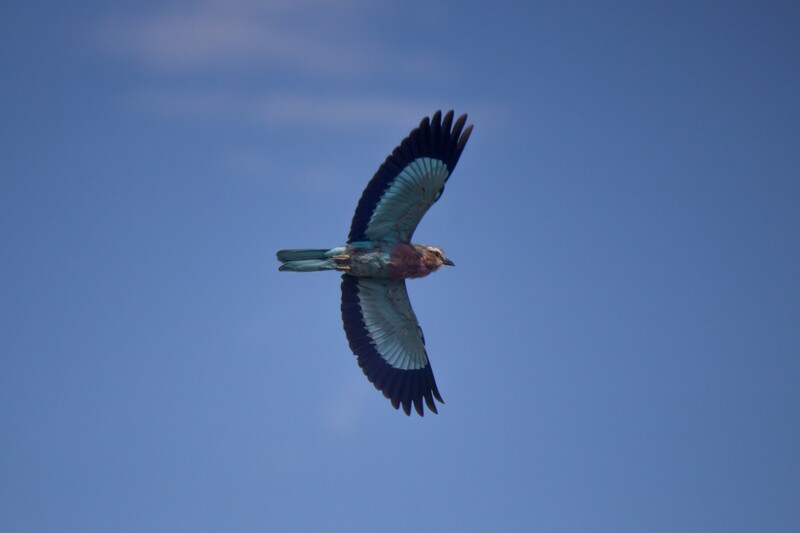 Like all rollers, they are highly acrobatic and agile when flying and even breed in flight. Breeding season is between August and February with peak period September through December. Two to four eggs are laid in a nest and incubated by both parents for 17-25 days. Chicks are fully feathered after 19 days, upon which time they leave the nest. They are dependent on their parents for another 20 days. 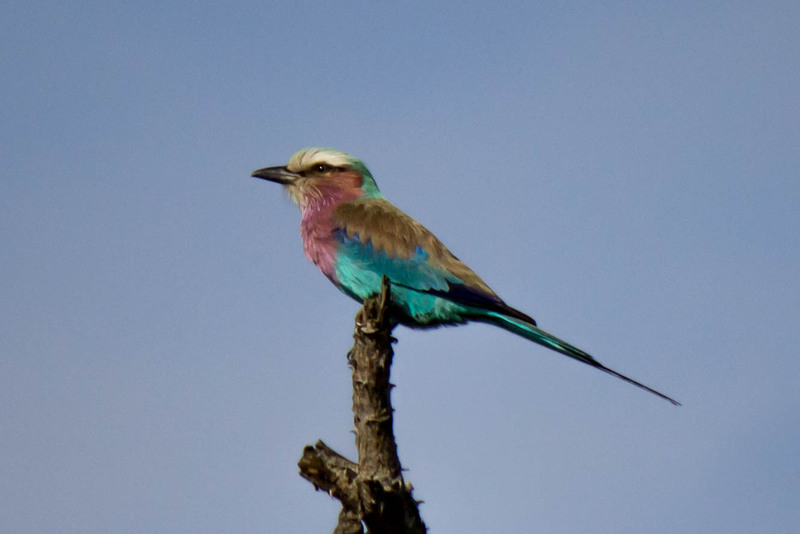 The lilac-breasted roller is very common and widespread within its range and many populations are found in protected areas. There are no immediate threat to the population and it is listed as least concern on the IUCN Red List.